I was interviewed live on BBC Radio 5 on Tuesday December 5th at 8:30 pm EST (Wednesday December 6th at 1:30 am London time): ‘Rhod Sharp presents news, interviews and stories from around the world’. Runs from 35:44 to 43:25. In the 8 minute long interview, I discussed how the California wildfires are getting hotter and larger, burning faster and more frequently, and are much harder to contain and extinguish. Climate change is the root cause, extending the duration of extreme heat waves and drought, and increasing the frequency and strength of the so-called Santa Ana winds that blow from the mountains to the coastlines, reaching hurricane wind speeds in the valleys. Climate change has messed up the jet stream winds, resulting in exceptional rainfall in California in the spring, which greatly increased vegetation growth; that dried out in exceptional summer drought and heat and is fueling these mega-fires this winter. Wildfires will continue to worsen as we lose Arctic sea-ice and snow cover, worsening jet stream behaviour. You’ll never guess which countries had the MOST official delegates at COP23 in Bonn. 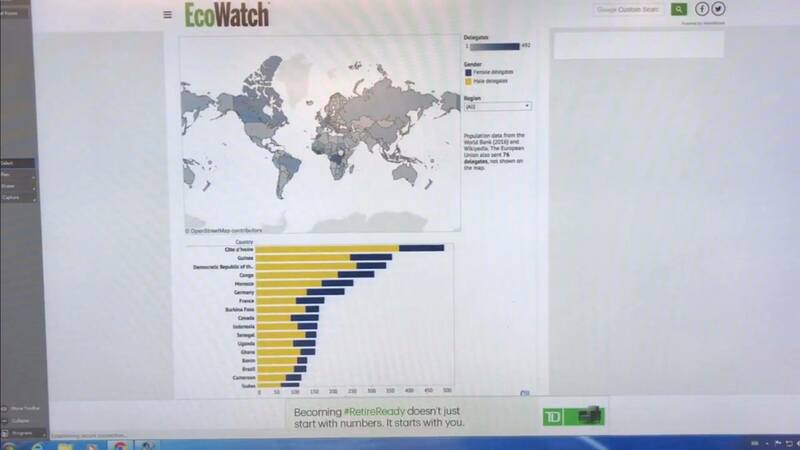 Five African countries occupied 1 to 5 with a combined 15.5% of the total, while the half of the planet with all the emissions (China, India, US, Russia) had a combined 2.2% of the total. Hypocrites ALL. 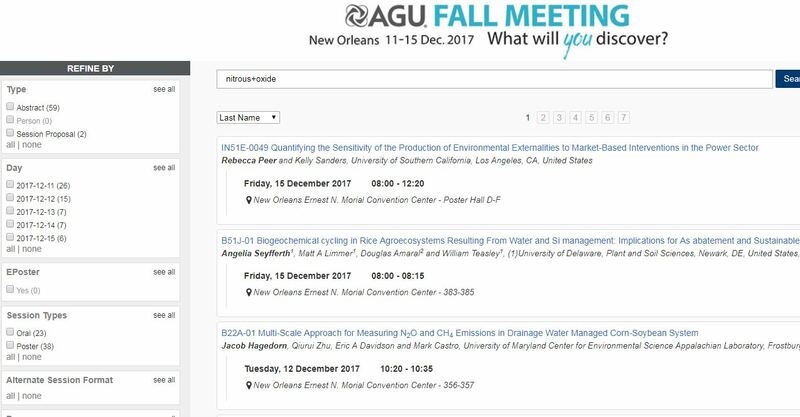 Check out abstracts of 24,000 scientists going to the AGU 2017 Fall Meeting and suggest talks; I’ll meet many big names and try to wake them up; help out the Canadian stirring-the-pot, with easy to use Donate button, here. Information about Paul’s trip, here on Monday December 4th: Abrupt Air Circulation Changes: Equatorial Atmospheric Super-Rotation; AGU Science Conference (half way down page). Example Abstract: ‘A42B-04: A Warm Arctic and Extreme Winter Weather in Northern Hemisphere Mid-Latitudes’. Every year we have many massive conferences around the world on science, policy, and negotiations to deal with climate change. How can we still have no effective and cohesive global action to save our butts? Policy gigs like COP23 in Bonn had almost 23,000 attendees, Paris 40,000. 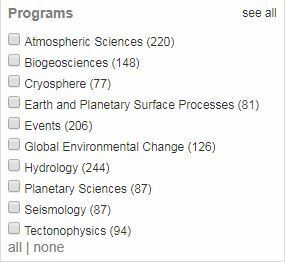 Huge science conferences like AGU that I will soon attend has 20,000+ scientists; EGU has 15,000. Yet abrupt climate change marches on, crushing humans and ecosystems like bugs. What gives??? This entry was posted in Climate, Climate Change, Geography, Global Warming, In The Media, New Video, Oceanography, Rapid Climate Change, Science, Videos, Warnings, Weather, zz Travel and tagged Abrupt Climate Change, AGU, AGU2017, American Geophysical Union, Amplifying Feedback, Arctic, Arctic Ocean, Atmosphere, Bonn, Braking Feedback, Cascading Feedbacks, Climate, Climate Casino, Climate Change, Climate Instability, Climate Stability, Compound Events, COP21, COP23, Drought, EGU17, Equatorial, Equatorial Atmospheric Super-rotation, Equatorial Atmospheric Superrotation, Feedback, Feedbacks, Flood, Global Warming, IPCC, Jet Streams, Negative Feedback, New Orleans, Nonlinear, Oceans, Paris, Positive Feedback, Rain Forests, Science, Scientists, Sea, Sea Ice, Sea Ice Thickness, Storms, Thresholds, Tipping Elements, Tipping Points, Weather, Weather Weirding, Weather Whiplashing, Weather Wilding. Bookmark the permalink. I believe scientists, unfortunately, are like everyone else. They want status and security until the bitter end and won’t stir the pot until they are personally affected. Ask them do they really care about their children and grandchilden? Probe them personally to find it if they feel fatalistic and defeated. We are living in difficult times politically as well.